The Seventh Greatest Mystery of All Time: Will Humanity Destroy Itself? A pessimist will answer YES! Humanity will destroy itself. The end is near. Judgment day is coming. The righteous will be exalted and the profane will be destroyed. The guilty will be condemned to suffer everlasting fire and damnation in hell. Weapons of mass destruction are everywhere. War will continue to consume the earth. Terrorists and barbarians will overrun the civilized worlds and plunge the earth into chaos. Humanity will blow itself to bits with nuclear weapons of fusion and fission. 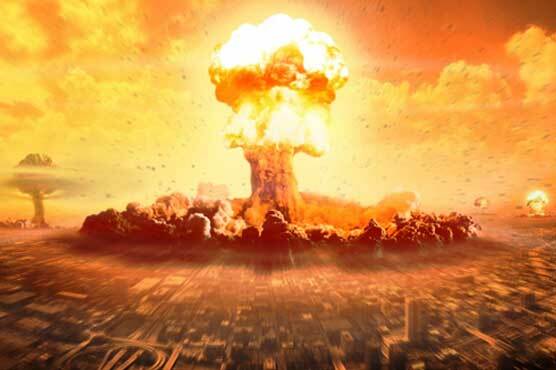 All it will take is one arrogant and ignorant country to set off a holocaust of nuclear war that will destroy all of humanity and make the earth forever uninhabitable. The world will be covered by vast radioactive clouds that will blot out the sun and create a new ice age. The ground will become barren due to the radiation that will last one million years killing all life as we now know it. An optimist will answer NO! Humanity will not destroy itself. People are infinitely perfectible. We keep learning from our mistakes. Humans have colonized the earth and adapted to every known condition on every continent. We have managed to end war over and over again with our enemies. We can learn and do learn to forgive each other. The power of love will overcome hate and the golden years of humanity are still ahead of us. We will conquer death and conquer disease and conquer the environment. We will create a heaven on earth of gardens and crops that will feed all of humanity forever. We will eradicate poverty, hunger and disease. We have learned to overcome obstacles that seemed insurmountable to previous generations and we will continue to do so. The human brain is more powerful than any computer and when we learn to all live together in peace and harmony anything is possible. Another person might have replied to the initial question that it depends on whether you are a person of faith or a person of science. I say nay to this assertion. Scientists can be pessimists or optimists and people of faith can also be either pessimists or optimists. Thus, I contend that my original division is the correct path to pursue the answer to this question. The pessimist will say yes whether or not they are religious just as the optimist will say no regardless of their religious orientation. Nevertheless, just for the hell of it, let’s see what a person of faith might be likely to say about this question and then compare their answer to the person of science. For this, I have selected two friends. The Reverend Dwaine Powers is a man of deep religious thinking and orientation. He has studied the Upanishads, the Bhagavad Gita, the Bible, the Torah and the Koran. He lives, breathes and walks with God and his faith. We will also talk to Dr. Letitia Summers. Letitia is a rationalist, agnostic and scientist. She has her Ph.D. degree in Nuclear Physics and has been named several times to the list of most important scientists of the twenty-first century. Her list of honors, awards and published works would fill many pages. Letitia is a study in objectivity, rationality and studious interpretation of facts and not conjectures. John: I think my blog readers will be really glad you both could join us and provide us with your responses to this question concerning whether or not humanity will destroy itself? Can we start off by being unconventional and let the lady go last? Dwaine: My pleasure. I noticed that you implied the answer will depend on whether or not one is a pessimist or an optimist? I think you are dead wrong John. You truly do not understand what religion really is or what the power of faith means. I hope I am not giving offense. John: None taken. The older I get, the less I know. Can you explain this reply? Dwaine: Well first of all religion is not based on pessimism or optimism. It is based on faith. There is no such thin g as destruction of humanity. If God wanted to destroy the earth, he or she could do so tomorrow. The earth is a place for us to develop our souls and spirituality. It is like the cauldron of oil that a hot blade is plunged into in order to forge it and anneal its edge. Without the cauldron, the steel is brittle. The earth is the cauldron for humanity. Some come through His process stronger and ready to move on while others break and must be put back into the elements and go through the process again. Letitia: I find myself agreeing with the first part of what you said Dwaine as it also applies to John’s understanding of science or should I say lack of understanding. John also does not understand science or how a scientist thinks. We are not optimists or pessimists. We are interpreters of facts and evidence. We measure outcomes based on inputs and precise calculations of probability. There is no room for optimism or pessimism in scientific inquiry. John: Wow, I guess I really screwed up on this mystery then. So what is your opinion Letitia or how do you respond to Dwaine’s interpretation? Letitia: Well, you have pointed out some possibilities of how humanity might destroy itself. You noted war and weapons of mass destruction. You hinted at environmental degradation which we have already started with global warming but you also I think totally skipped some potential disasters that could destroy humanity and come from outside. Letitia: We have been hit by many asteroids in the past and the probability of a major strike that could destroy all of humanity is pretty high. It has happened before and is probably the major reason for the demise of the dinosaurs. But even more important than this potential disaster is the fact that species may have built in limitations to their lifespans both as individuals and as species. This is an area that has not been thoroughly studied but thousands of species have come and gone and there is just as high a probability that we will be one of them as for the Sabre Toothed tiger or Woolly mastodon. Dwaine: Letitia, I think we probably are more alike in our thinking on this than John is. His view is very simple. I am not talking about the imperishable of the human body but the imperishable of the human soul. Letitia: Science will go on and on whether or not humans are the ones to develop it and reflect on it. As Plato noted ideas are indestructible. Whether or not there is only one universe with many galaxies or whether we live in a multi-verse with an infinite number of galaxies and universes, science is the fulcrum for all eternity. Science is the one constant that dictates laws and life. Dwaine: Perhaps eternity is where the soul and science become one. Perhaps what you call Science, I call God? John: Well, I think that Dwaine’s comment is a good note to end things on. I want to thank you both for coming and gracing us with your observations. I hope you both have a good trip home and your planes land in one piece or at least you get an airplane with some seat space. Will humanity destroy itself? What do you think? Why or why not? Are you a pessimist or an optimist? Do you agree with me or with Dwaine or with Letitia? Why? Previous The Sixth Greatest Mystery of All Time: Who killed the Lindbergh baby, the Black Dahlia, Nicole Simpson and Jon Ramsey Benet? Next The Eighth Greatest Mystery of All Time: What is the Purpose and Meaning of Life? In answer to the question, “Will Humanity Destroy Itself,” I would have to answer yes and no. Do we create situations that destroy some, but not all, of mankind, that answer would have to be yes. To believe that we would be responsible for the destruction of all mankind, I believe in a final judgment day and the demolition of all creation will be at the hands of our creator. Just my belief. It may seem far fetched and as unrealistic as the story of creation which I believe is wrought with a good deal of symbolism for which we have limited knowledge. That is where faith comes in. Do I agree with Revered Dwaine or Dr.Leticia, again this would have to be a yes and no. Reverend’s belief is much similar to mine, but I disagree with reincarnation. I would tend to lean toward his belief that God will ultimately determine when and how humanity will be destroyed. As far as Dr.Letitia, you could embrace her concept of a huge asteroid destroying the earth, but whereas she would see it as a natural and disaster based on science, I would view it as an act of God. I enjoyed Milton’s quote from Paradise Lost. 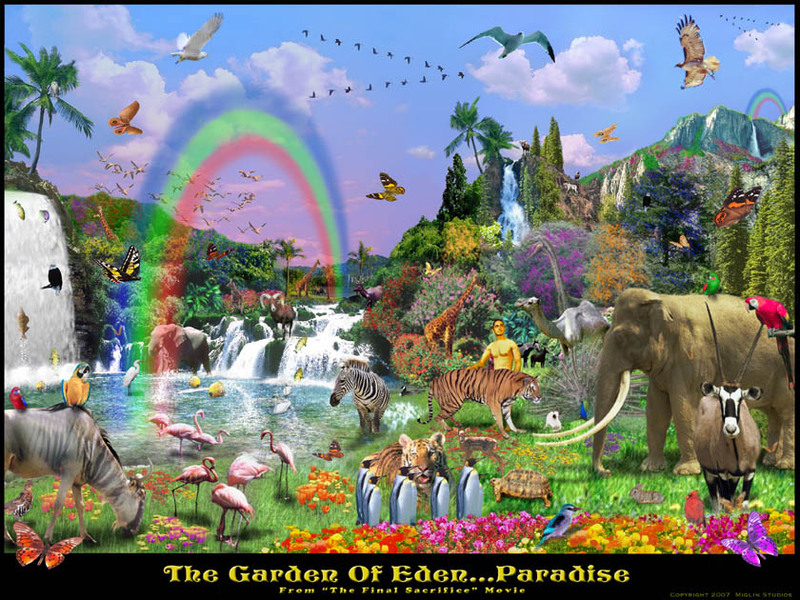 Oh how beautiful life would have been if we were living in the Garden of Eden. Although with God’s infinite knowledge and ability to foresee the future, I believe that He knew before He created man and woman, that they would disobey Him. So why did He create us, only to go through all the trouble of saving us?? The answer is quite simple, we are taught to have faith that everything He did and does has a reason. I think mankind will largely destro itself however in isolated areas some of us will survive. Population reduction was inevitable be it nuclear; climate or a combination of both.